Marigolds' Loft: It is nearly Party Time!! Just under a week to go and then I will be able to meet with all the amazing people that are making the Swiss Wulle Festival the special event that it will be! 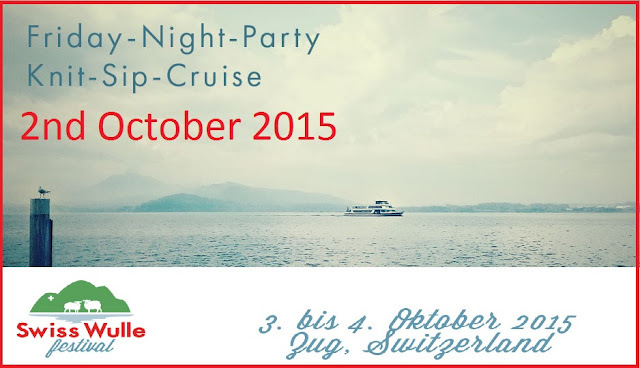 I have planned my trip and will be in Zug from Friday until Saturday evening, I would love to meet some of you there! 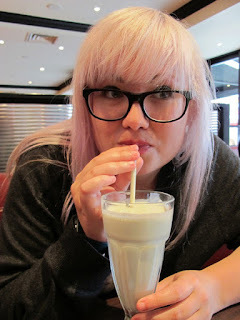 To start off the festivities I will be attending the Pre-Festival Knit-Sip-Cruise event! "We will meet at the "Landsgemeindeplatz" pier to board the ship from 6pm on - don't be late, we will leave the pier at 6:30 pm sharp for a nice, leisurely sundown-cruise across the lake and back. There will be Apéro and Dinner on board, lots of getting to know each other, chatting, laughing, knitting... and door prizes to be won!" I don't know about you but that sounds absolutely amazing! There are still a couple of spots open. I would love it if you managed to grab yourself one of those while you still can - it would be so great to get to know some of you over a great meal and perfect ambiance! It is a wonderful opportunity to meet all the Swiss Wulle Team, the class tutors, as well as all the lovely vendors and get to experience the Zug Lake at sundown! I, for one am really excited to get my party on! On Saturday the fun will continue at the amazing festival! As well as the incredibly talented vendors on site over the weekend, there is an array of super cool techniques to learn! Have you seen the line up of great classes? There are even two Craftsy Tutors there! Coming all the way to Zug from their various countries to teach some incredible techniques! 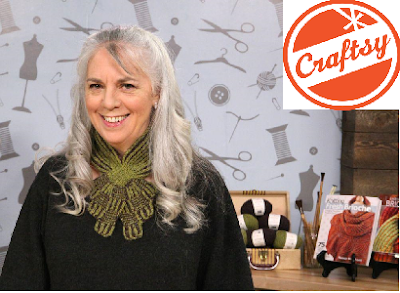 The first Craftsy tutor is Romi Hill! 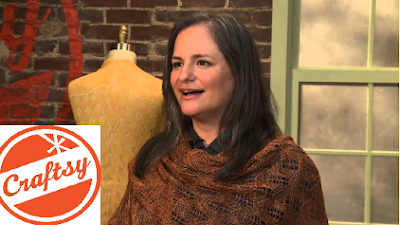 The next Craftsy Tutor is Nancy Merchant! I know a lot of you out there are in the beginning stages of knitting socks. At the festival there will be another English instructor Rachel Coopey from England, who will be teaching sock knitting courses. These are just a couple of the incredible instructors that you will be able to profit from over the weekend. If you are on the fence about which courses you would like to visit, I would recommend that you jump into action! Many of the courses are already full! The rest are filling fast! I look forward meeting some of you there over the weekend of the 2nd - 4th October in Zug, Switzerland. 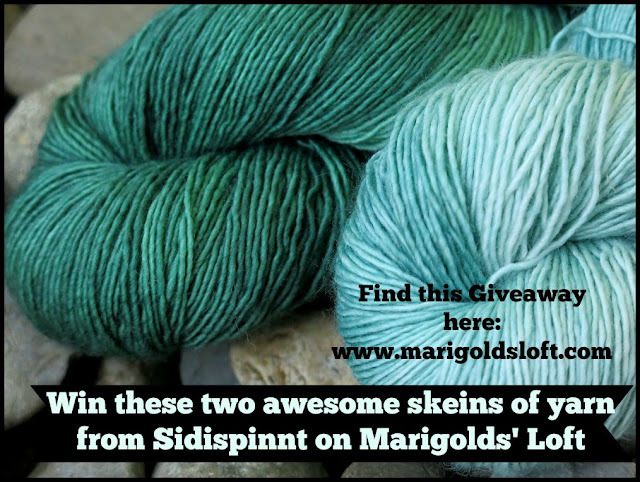 Don't forget that you still have a couple of hours to enter yourself into the Sidispinnt Yarn giveaway! Do come back tomorrow for the next installment of fantastic interviews and giveaways before the festival! !